Don’t just rent a room. Rent a mountain top! Nestled into the Rio Grande National Forest, we are South Fork’s newest and closest large group lodging to Wolf Creek Ski Area. Our beautiful handicap accessible lodge comfortably sleeps forty people in four dormitory style rooms. The fully equipped kitchen with large dining/meeting room is perfect for preparing affordable meals. In the summer groups can rent our new all seasons lodge or our rustic cabins/lodge and enjoy our campfire area and outdoor cathedrals. We prepare delicious meals in our commercial kitchen for summer groups. 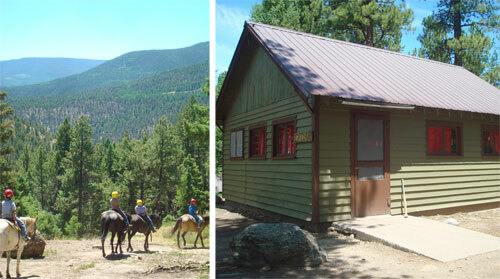 Beaver Creek Christian Camp has been hosting groups since 1949. It is the perfect setting to escape the heat and relax in the cool Colorado Rocky Mountains. Enjoy all of your favorite summer sports right here at the camp or within a few miles: horseback riding; ATV’s and four wheel driving; river, stream, or lake fishing; mountain biking; rafting and other boating sports; rock climbing; disc golf; low ropes course; golfing; hiking; or star gazing from our beautiful high meadow. With our camp sitting on twenty acres of National Forest, it is a terrific place to hold environmental education classes as well. Winter at Beaver Creek Camp offers cold crisp mornings and breath taking views. If you need a break from crowded slopes, you can cross country ski, snowshoe, sled, ice fish, or snowmobile right out our back door. At the end of a long day you can snuggle up in our comfortable seating area and play games, enjoy a good book or the fellowship of good friends. Spring and fall are the quiet times of year when the traffic lightens up and life is quieter. Spring offers incredible bird watching, a chance to see new born wild life and newly budding trees. Fall is a warm pleasant time of year when you can enjoy long hikes or leisurely walks in the gorgeous changing colors that the Rocky Mountains are known for. 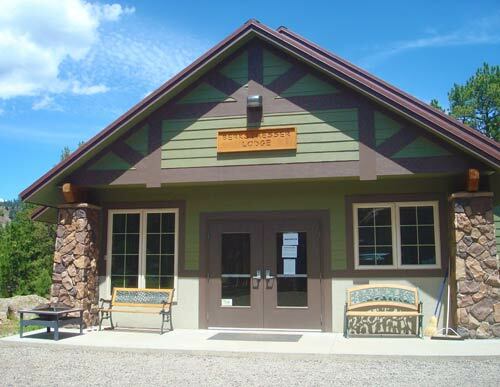 Many people enjoy our facilities including families, women’s quilting and scrapbooking clubs, men’s fishing and sports enthusiast groups, artists, youth, church, scouting, and school groups. 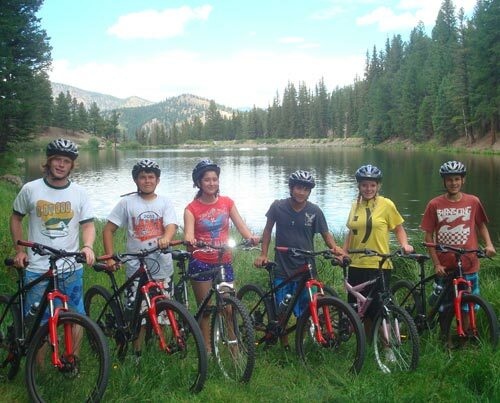 We also offer incredible Christian youth camping programs from the end of June through July. It would be our pleasure to help you schedule your family reunion, staff/team conference, group retreat, or wedding. 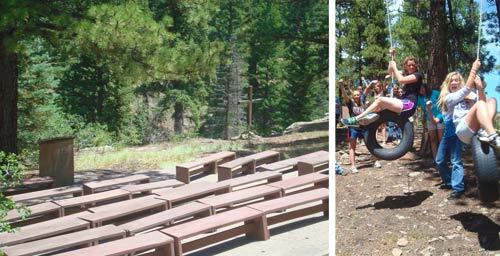 Let your imagination run free and create an event at Beaver Creek Camp soon! Go west on Highway 160 through South Fork towards Pagosa Springs. Just outside of South Fork will be a green sign that says, “ National Forest Access Beaver Creek Road,” turn left and cross the creek. Follow Beaver Creek Road for 3 miles and you will come to a brown sign that says, “Beaver Creek Youth Camp” and points to the right. Take the road to the right that immediately follows it. Follow this road down the hill and up and around the curve to the left. There will be another brown sign that says, “Beaver Creek Youth Camp” to the left. Follow the road up the hill to the camp. Go east on Highway 160 toward South Fork and Alamosa. Just before arriving in South Fork there is a green sign that says, “National Forest Access Beaver Creek Road.” Turn right and cross the creek. Follow Beaver Creek Road for 3 miles and you will come to a brown sign that says, “Beaver Creek Youth Camp” and points to the right. Take the road to the right that immediately follows it. Follow this road down the hill and up and around the curve to the left. There will be another brown sign that says, “Beaver Creek Youth Camp” to the left. Follow the road up the hill to the camp.